One of PAR’s core values is to give back to the community, and we have a dedicated staff of employees who provide financial support and volunteer their time and talents to a variety of causes around the Tampa Bay region. "PAR donates a portion of our company profits to those in need and encourages our staff to donate their time and/or other resources for the purpose of helping others." MARCH 23: The PARty Animals met in downtown Tampa in support of Bark in the Park, an annual fundraiser for the Humane Society of Tampa Bay. The PAR pack was this year’s second-highest fundraising team, with donations totaling nearly $8,000. Overall, nearly 100 teams and 450 participants helped raise nearly $150,000, which will be used to house, heal, and help rehome thousands of animals in the Tampa Bay area. MARCH 22: A group of PAR staff members helped serve lunch at Trinity Cafe today. Trinity Cafe serves more than 1.5 million meals to the hungry in Tampa each year. Meals are prepared by a chef and served in a restaurant-like atmosphere by an army of dedicated volunteers. FEBRUARY 21: A group of PAR employees joined together to attend the Cup of Compassion breakfast to support the Crisis Center of Tampa Bay. The Crisis Center provides counseling, case management, psychological assessment, and more to individuals and families dealing with trauma, abuse, domestic violence, medical and psychological emergencies, and other crises. JANUARY 17: PAR founders Bob and Cathy Smith were two of the honorees when United Way Suncoast recognized several local individuals who have made significant contributions to the organization, inducting these individuals into a United Way Roundtable that has just 500 members worldwide. The Smiths began their relationship with the United Way in 1977 and became members of the Tocqueville Society in 1998. Bob and Cathy’s spirit of generosity and philanthropy has not stopped with their personal devotion to the United Way, though. They have encouraged PAR staff to actively participate in United Way activities in the area, donating both time and resources. In fact, PAR has had 100% employee participation in our annual United Way drive for more than 20 years! Congratulations, Bob and Cathy! This is an amazing testament to your dedication to United Way for more than 40 years! Watch the video that was shown at the ceremony. Thanks to our generous staff, we were able to make the holidays brighter by working with the Crisis Center of Tampa Bay, the Heart Gallery of Tampa, and the Redlands Christian Migrant Association to provide gift cards, presents, and snacks to make the holidays brighter for the people they serve. A group of PAR staff members volunteered at Trinity Café in December. Trinity Cafe is a nonprofit restaurant for the homeless and hungry. Volunteers greet, seat, and serve a three-course meal with compassion, dignity, and respect. NOVEMBER 19: PAR staffers met with students at the Hillsborough County PACE Center for Girls to announce winners of PAR’s annual Holiday Card Contest. Each year, girls from PACE are invited to create an original, hand-drawn design, and PAR employees vote for their favorites. The top design is printed and used by PAR as its annual holiday card. PACE is a holistic, strength-based, asset-building program for at-risk girls ages 11-17 years. It is one of many organizations in the Tampa Bay area supported by PAR. For more information, visit www.pacecenter.org. NOVEMBER 16: This morning, PAR staff donated more than 1,000 pounds of food through the Boxes of Hope program at Metropolitan Ministries. The Boxes of Hope program provides Thanksgiving meals for families in need in the Tampa Bay area. NOVEMBER 11: A team of PAR runners spent Veteran’s Day honoring the 22 veterans and one active duty military member who take their own life each day. The noncompetitive 5k race honored Sergeant Eric Landon, with proceeds being donated to Stop Soldier Suicide, an organization of veterans dedicated to preventing active duty military and veteran suicides. NOVEMBER 3: A group of PAR staff members took part in the Walk to End Alzheimer’s. The event was held at the Amalie Arena in downtown Tampa. Those who couldn’t make it on Saturday took part in a walk through the PAR neighborhood later in the week to show their support. Our team raised more than $4,500 to help the Alzheimer’s Association. OCTOBER 12: Eleven PAR employees participated in United Way Suncoast’s Day of Caring, where thousands of people volunteer for worthy organizations across the Tampa Bay area. PAR selected Metropolitan Ministries as their organization this year, and we cleaned and organized their supply warehouse while also sorting toys, packing boxes, and having fun! Metropolitan Ministries’ mission is caring for the homeless and those at risk of becoming homeless through services that alleviate suffering, promote dignity, and instill self-sufficiency. OCTOBER 13: A group of PAR staffers attended Tuxes & Tails at the Tampa Convention Center. The “Nordic Nights”-themed evening featured more than 1,000 guests along with 70 adoptable dogs and cats—48 of whom were adopted that evening—as well as silent and live auctions and an energetic runway show. The event raised more than $530,000 for the Humane Society of Tampa Bay. SEPTEMBER 12: Each year, PAR employees take part in a week-long United Way fundraising campaign. For more than 20 years, 100% of PAR staff members have contributed during our annual drive. This year was no different! We exceeded our fundraising goal, resulting in more than $93,000 in employee contributions to help United Way Suncoast and their partner agencies! With PAR’s matching contribution, we are proud to say United Way will receive just under $140,000 that will help make a difference in the lives of so many people in the Tampa Bay area. AUGUST 24: “Humanity begins with a meal.” At Trinity Café, more than 1.4 million meals have been served with dignity, compassion, love, and respect since opening their doors in 2001. A group of PAR volunteers helped serve a freshly prepared, three-course meal to more than 200 people in need during lunch on August 24. Learn more about Trinity Café, the individuals they serve, and how you can get involved with their important mission. JULY 19: A team from PAR visited Metropolitan Ministries and learned about the vast array of services this organization offers to the Tampa Bay area. In addition to providing more than 1.1 million meals to those in need, Metropolitan Ministries provides housing services, programs for homeless children and adolescents, education and job-skills training, counseling, and much more, creating a better future for individuals and families in the area. JUNE 26: PAR employees and their families took to the lanes to raise money and awareness for the American Heart Association (AHA) during our annual Bowling for Hearts event. The AHA focuses on helping people lead healthier lives, free from cardiovascular diseases and stroke. The AHA is the nation’s leader in providing lifesaving CPR education and has funded more than $4 billion in research that has led to many important advances, such as the first artificial heart valve, cholesterol-lowering drugs, and heart transplant surgery. Par was proud to raise more than $3,500 for this important organization. APRIL 28: PAR employees gathered to take part in the Autism Speaks Walk at Raymond James Stadium in Tampa. An annual fundraiser, the event featured more than 350 teams and 6,500 people who came together to celebrate, connect, and inspire. The campaign raised more than $330,000 for Autism Speaks, an organization founded in 2005 that is dedicated to advancing research into causes and better treatments for individuals on the autism spectrum disorder (ASD), increasing understanding and acceptance of those with ASD, and working toward solutions for the needs of those with ASD and their families through advocacy and support. APRIL 27: Several PAR employees spent their lunch hour volunteering at Trinity Café, an eatery in Tampa that serves free hot lunches to those in need. Patrons are seated and served, restaurant style, at one of about a dozen tables and are encouraged to engage with each other and volunteers. One volunteer serves as each table’s host to provide much-needed interaction for the guests, who are otherwise often isolated. Other volunteers serve meals and clear tables. Trinity Café serves more than 380 hot and hearty meals every day at two locations in Tampa. Open 365 days a year, Trinity Café welcomes everyone, without question or qualification, and all are served with kindness, compassion, dignity, and respect. APRIL 14: A group of PAR employees helped represent team Cody’s Pit Crew in the Southeastern Guide Dogs Walkathon at Al Lopez Park in Tampa. The family- and dog-friendly event featured vendors, music, food, and giveaways—all in the name of raising funds for the Southeastern Guide Dogs! The event, part of eight similar events throughout central and southwest Florida, raised more than $146,000 toward the 2018 walkathon goal of $1,125,000. Money raised goes toward raising, training, and matching guide dogs with visually impaired students, veterans with disabilities, and people whose lives are transformed by new levels of independence, freedom, and hope. MARCH 24: The PARty Animals of PAR have done it again! For the 7th year in a row, PAR’s team has been named Top Dog at the Humane Society of Tampa Bay’s annual Bark in the Park fundraising event. More than 130 teams raised a combined total of more than $144,000. PAR donations totaled $8,475, and employee participation was close to 100%. All funds raised are earmarked for the Humane Society of Tampa Bay, which works to save the lives of thousands of homeless animals each year and provides shelter, food, spay and neuter services, and low-cost veterinary care. The March 24 event, held in downtown Tampa, featured vendors, a dog costume contest, a dog agility zone, adoptable dogs, and a pop-up dog park. The event was capped by a mile-long Walk for the Animals along the scenic Hillsborough River. MARCH 23: Camp Circle of Love – PAR employees volunteered for Camp Circle of Love, a no-cost annual weekend retreat for children in Hillsborough county ages 6 to 18 years who have experienced the death of a loved one. Sponsored by Lifepath Hospice, Camp Circle of Love allows attendees to participate in traditional camp activities such as arts and crafts and swimming, but the retreat also includes exercises that help campers cope with grief and a memorial service designed to provide healing and closure. It is hosted by LifePath Hospice, a not-for-profit provider of quality palliative care for individuals affected by life-limiting illnesses and end-of-life issues. MARCH 14: Each week throughout the year, PAR employees deliver fresh, nutritious meals to seniors and homebound individuals as a part of Meals on Wheels of Tampa (left). The organization prepares more than 800 hot meals a day. MARCH 8: PAR Executive Chairman and Founder R. Bob Smith III and Vice President of Community Relations Emeritus Cathy Smith (right) were honored during the Meals on Wheels Nourish the Homebound Breakfast. MARCH 7: (from left) Donna Drackett, Kristin Greco, and Travis White with the United Way’s Suzanne McCormick, who stopped by to present PAR with a certificate of appreciation for once again making the list of the United Way Suncoast’s 100 Most Generous Workplaces. Each year, PAR holds a companywide United Way fundraising campaign, and in 2017, as it has for more than 20 years, 100% of PAR’s employees contributed. Learn more about how you can get involved with United Way where you live. FEBRUARY 22: PAR employees gathered early at the Tampa Convention Center for the Crisis Center of Tampa Bay’s Cup of Compassion breakfast. The Crisis Center of Tampa Bay provides counseling, case management, suicide prevention, traveler’s aid, survivor empowerment, psychological assessment and more. It serves children, teens, and adults and families dealing with the trauma of sexual assault or abuse, domestic violence, financial distress, substance abuse, medical emergency, suicidal thoughts and other crises. JANUARY 2: PAR announced the recipient of its fourth-annual Pay-it-Forward program to benefit worthy charities. In November, PAR mailed an end-of-year communication to select Customers, thanking them for their business and asking them to choose their favorite organization from a list as a way to acknowledge the important work they do throughout the year. 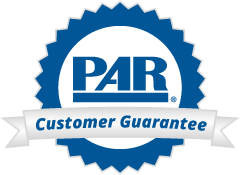 Most PAR Customers are involved in psychological assessment, educational assessment, or mental health work. PAR is proud to announce that on behalf of its Customers, a $5,000 donation will be made Prevent Child Abuse America. DECEMBER 20: Every year, PAR participates in the Angel Tree program to help provide a little holiday cheer to local families and children in need. This year, PAR employees donated hundreds of items, including toys, clothes, toiletries, and more, to the Crisis Center of Tampa Bay and the Redland Christian Migrant Association. NOVEMBER 18: A group of PAR staffers and their families took part in the Walk to End Alzheimer’s at Amalie Arena in downtown Tampa. This annual event benefits the Alzheimer’s Association, the largest voluntary health organization in Alzheimer care, support, and research. OCTOBER 12: Several PAR employees spent the day at Hillsborough Aging Services playing games, calling bingo, and serving lunch to a special group of local senior citizens in our community as part of the United Way’s Day of Caring. Through United Way Suncoast, more than 1,900 volunteers took part in 101 projects in the local area on one day. To learn more about how you can get involved in your community, visit United Way. OCTOBER 6: A group of PAR staffers participated in the No-Pucker Challenge to raise awareness for Niemann-Pick Type C (NPC). NPC is a rare, fatal childhood disease known as “Childhood Alzheimer’s.” Staff member Katie Meyer-Griffith’s husband, Sean, will be riding across Florida to raise awareness for Hope for Marian, the organization behind the No-Pucker Challenge. Learn more about Marian, a two-year-old girl fighting for her life against NPC and about Sean’s ride. Visit our Facebook page to watch us as we take on the No-Pucker Challenge! OCTOBER 10: PAR employees donated boxes of much-needed supplies to send through the Puerto Rico Federal Affairs Administration to help those devastated by Hurricane Maria. Whether it was batteries, garbage bags, diapers, or first aid supplies, staff stepped up and donated what we could to help the effort in Puerto Rico. SEPTEMBER 13: Despite being slightly hampered by the appearance of Hurricane Irma, PAR staff took part in its annual United Way fundraising campaign this week. For more than 20 years, 100% of staff members have contributed and this year was no different. We exceeded our fundraising goal, resulting in employee contributions of $90,402.74 being donated to United Way to help continue its mission of helping others in our community. With match and challenge donations, that brings our 2017 United Way campaign total to $136,604.11! Learn more about how you can help the United Way in your community! Visit www.unitedway.org.